I KNEW IT, I KNEW IT, I KNEW IT!!!!!! Crown of Midnight by the brilliant Sarah J. Maas is the follow up to Throne of Glass which I LOVED. (SPOILER WARNING: if you haven’t read book one of this series, there are minor unavoidable spoilers within this review.) Celaena is now the King’s assassin and has been for a few months, but she’s not taking it lightly. She knows it means her freedom and she’s basically sold herself to the devil working for the man who put her in the salt mines of Endovier to die just for her own freedom. But our lovely Celaena doesn’t always play by the rules now does she 😉 With the rebellion against the king growing, he commissions Celaena to start killing the heads. When one of the names is a person from her past, Celaena must decide where her loyalties lie. 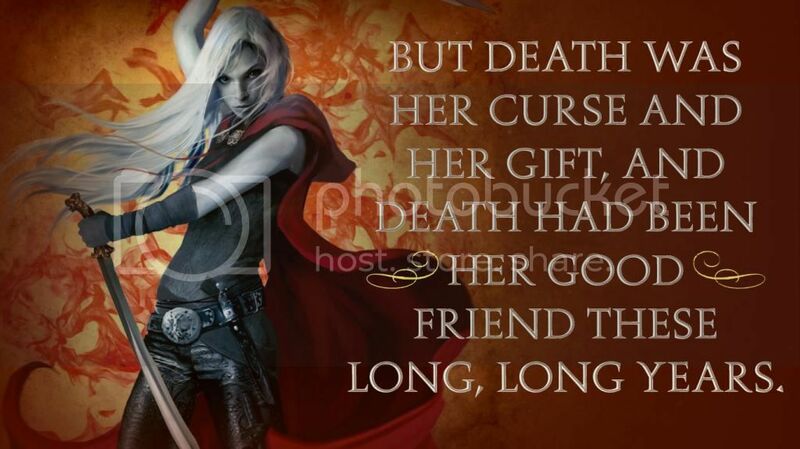 Celaena is the girl I fell in love with during Throne of Glass. She’s snarky, independent, does whatever she wants and screw the consequences. She’s ruthless, yet loyal to a fault. She’s been hurt and doesn’t trust easy, yet she’s learning she trusts Chaol implicitly. During this book we see a different side to her though. She gets to be not only the assassin, but a girl. It’s wonderfully ironic and I loved every word! Did his parents have any idea that in the entire castle, in the entire kingdom, there was no one more noble and loyal than him? That the boy they’d thrown out of their lives had become the sort of man that kings and queens could only dream of having serve in their courts? So Dorian closed his eyes, and took another long breath. And when he opened his eyes, he let her go. This book revolves around the rebellion and Celaena’s new job as the King’s Assassin. I can honestly say that for me (and this is probably a first) I liked this book even more than than its predecessor. I didn’t think that was possible because I LOVED Throne of Glass but it’s true. The action, the incredibly complex world Celaena lives in, and the entirely sweet almost pure relationship that builds between Chaol and Celaena makes Crown of Midnight a MUST READ!!! And that ending!!!!!!!! All I can say is I’m so glad I don’t have to wait to read Heir of Fire. The cliff that Sarah J Maas leaves us on isn’t steep but the revelation at the end of the book will blow your mind! I’ll be honest I knew something was up and I had my suspicions but I just….wow!!! Read it, trust me. If you enjoy young adult lit, fantasy, and epic adventures you must read this series. This is such a giddy, delighted review, I have to look up this series, lol!